Do you want a big client? Having a big client is great isn’t it? However, there are some issues to think about. Very early on in the relationship with any new client, we analyse their business and marketing performance. As well as understanding what marketing is and isn’t working, we look at your share of available wallet and how much of an impact clients have on your business. Our general rule of thumb is no single client should be more than 35% and ideally not more than 25%, let us explain why. Why a big client isn’t good for your business. There really is just one reason: if you lose them as a client, it will decimate your business! far too much resource is committed to that client and so they become unprofitable. Whichever of these happens, if this client decides to use another supplier, you lose a huge amount of the cash coming into your business. You then cannot meet your commitments. If they are an unprofitable client, there is a chance you can survive as a business. However, you need to make the cost cuts quickly in order to continue. As an an old cliche, many say that lots of business gets done on the golf course. If this was the case, I’d be playing much more, but here are a few business tips from the golf course that can help your business. The driving range is there for golfers to practice their game and to work out what needs to be done to improve. It’s also where they will warm up and get prepared for their game. In business, as in golf and every other sport, you need to be prepared. You cannot simply go out and do stuff and expect your business to improve. You need to get prepared. You need to identify what isn’t working and then develop a plan. Are you using the right tools? Many golfers, when trying to get their ball to the target (the green and the hole) will take Driver every time. After all, if they can get the ball as close as possible to the green, there is a better chance of getting a birdie (a good score), isn’t there. Professional golfers, on the other hand, are more likely to take a shorter club and then another one they can fit well and increase their chances of the birdie. The shorter club increases their chances of staying out of the rough (not good). Are you using the right marketing tools to reach your target audience? Just because everyone else uses Facebook (for example) doesn’t mean you have to if it won’t get your key messages in front of your target audience. Using the wrong club often means you end up in the wrong position for your next shot. That usually menas the rough – or worse, the trees. Even if you have a good line to the green, the shot becomes harder and you’re much more likely to score a bogey (bad) or worse. All you can do is take your medicine and try not to do it again. In any small business, you’ll make mistakes. Sometimes you’ll try out marketing tools that don’t work for you. The trick is to learn from your mistakes and try not to make them again. Every golfer has to keep a scorecard, showing the score achieved at each hole. Personally, I also keep track of where I hit my tee shot (did I hit the fairway? ), the number of shots I took to get to the green, how many putts and whether I went into a bunker or incurred a penalty. I use Golfshot to track my performance on the golf course. What are you using to record your marketing and business performance? Whether you invest in a CRM and marketing automation tools, or simply use Excel spreadsheets, make sure you are measuring your performance so you can use the information to improve. Professional golfers use a caddie to help them. Not only does the caddie carry their bag, they will advise on club choice, on where to hit the ball to and how the weather will impact their strike. They act as dogsbody, psychologist and nutritionist (ensuring they eat and drink on the way around to maintain energy levels) to help the golfer make the best score they can and (hopefully) win the competition. Without the caddie, the golfer’s chance of winning are slim. The caddies are generally on 10% of winnings. Having support, specifically to fill the gaps in your knowledge or preferences, will help you improve your performance. Whilst you aren’t likely to be paying 10% of turnover, you should expect to pay for their expertise. Those of you who know me will know I can go on about golf forever, but I’ll stop there. I hope these help. Par: the number of shots you are allowed on any specific hole. We hope these business tips help. Too many businesses, and people, are obsessed with size. They believe bigger is better. If we are talking about ice cream portions or wine glasses, this may be true. When we’re discussing marketing data, it really is a case of size doesn’t matter. To maintain the innuendo, it’s what you do with what you’ve got that counts. There are many people who will look down on you if your LinkedIn connections number doesn’t say 500+. They are deluded into thinking that having more connections will mean that more people will see what they write in their updates and that will lead to more sales. They will see that XXXX people saw their last update and think that their use of LinkedIn is great. Actually the real measure is the number of people who reach out via LinkedIn and ask for your services. Which is better? 450 connections, 80 impressions a day and 4 calls per month? Have you ever asked a LinkedIn connection for an introduction to someone you want to talk to? How often do they respond “of course” and they fire off an introduction email via the LinkedIn functionality? Alternatively, do they respond along the lines of “I don’t really know them that well….”? If you think of LinkedIn as one big networking event, you are far more likely to be introduced or referred by people you know, like and trust. If you are connected simply because you accepted a connection request, what’s the point? Of course, if you have steadily built up a network that reaches into the 1000’s and you still know what each of them does and what they are looking for, that’s great because I am sure you are generating a huge amount of new business from your network. You are a rarity! List size is vanity, open rates are sanity but click throughs are reality. In other words, why send out 1000’s of emails if few people are engaging? You are far better off having 1000 people, a 20% open rate and 5% click through than a 1% open rate because you have 50,000 on your list. This is particularly relevant if your email marketing tool charges you per email! The number that is better in email marketing is the variants of any email. The more variants that show the recipient you are talking to them, the better. Relevancy and personalisation are key to developing high open and click-through rates. The standard number for B2B companies is 10%. You should be investing 10% of revenue in marketing your business – outside of salaries. For some companies, this may not be possible if gross profits are below 10%, but it should be for most. Some companies invest far more (Red Bull: 38%) than others but they have expensive “hobbies” such as Formula One and air racing! Saying that, it works or they wouldn’t be able to spend that sort of money. The size of your marketing budget depends on the size of your target audience and the return on investment. If you simply throw more money at your marketing, you may be lucky and get more leads and sales, but that will only be if you invest in the marketing channels that are delivering that ROI. I am sure you can think of many more ways where businesses think that bigger is better, but these are the key marketing faux pars. I hope this helps. 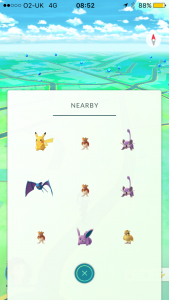 How can Pokemon help your small business? If you’re a child of the nineties, or have children born in that era, then you’ll probably know about Pokémon and what it is! Since its release, Pokémon Go has taken the world by storm and is now one of the most popular games. In less than a week it has had more downloads and users than Instagram, Snapchat and even Twitter. That’s great but how can it help your small business and what can you learn? There are a large number of Pokéstops all over the country, especially in shopping centres, parks and local landmarks. 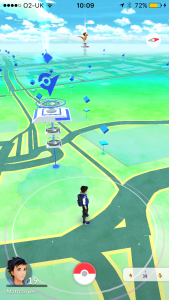 These Pokéstops allow players to stock up on items such as Pokéballs. 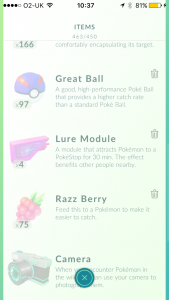 One item that can be placed on PokéStops is called a “lure module”. Once activated, lure modules will attract wild Pokémon (and, more importantly, players) to that location. These can be useful if your business is or near a Pokéstop as players always go towards stops with lures on the to catch Pokémon. If you’re selling to consumers, are there advertising opportunities nearby? Alternatively think about the Pokemon, or the players, as potential clients; what can you do to attract them to you? What do you have that can lure them to you? Maybe your business is closer to a Pokémon Gym than a PokéStop. In that event, there’s another way you can invite players to come patronize your business. You can advertise that you’ll be hosting a tournament in advance, perhaps even offering discounts to gym battle winners. Gathering lots of prospects in the same place is a great way to generate economies of scale. Perhaps you have a seminar or webinar that can help your target audience? business’s doorstep. All you have to do is advertise the date and time of your Poké-hunt, wait for players to gather, and then go hunting. After you can invite them back to your business to chat and compare what you have caught! Networking events like this can attract a mixture of current clients, prospects and other local businesses. You get the cache of organising the event and enabling the connections they make. You also get your clients saying nice things about you to others in the room. Pokémon Go is still in its early stages and developing more features such as trading and battling other trainers will be added along with a new generation of Pokémon. These new features can allow you to network further and interact more with your client base. A new generation of Pokémon can allow for new content for people to enjoy and for you to use in your business.